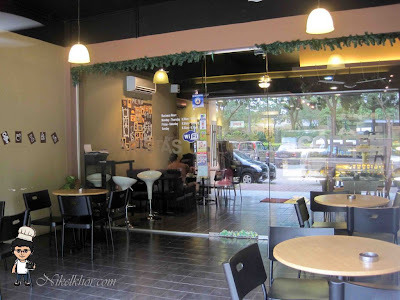 It is rare to have a cafe expertise in coffee in this small town Kulai, and yeah it attracts the crowd to their cafe. I was there for my high tea and I found it was almost full house. 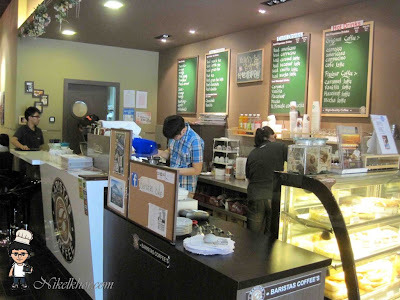 They pride to their Coffee Bar is a unique Italian-styled coffee bar. They serve their premium own recipe coffee bean, freshly roastly & grounded, brewed and prepared by their trained baristas.They also provide specialty unique coffee such as siphon coffee & iced drip coffee to give you a difference taste experiences. For tea connoisseurs, they go to great lengths to import top grade specialty teas, Apple Tea and Peach Tea, including popular blends such as Earl Grey and Chamomile or Jasmine Green Tea. Their bakery offers homemade hot-off-the oven breads, pastries, specialty baked cheese cakes and confectionery. 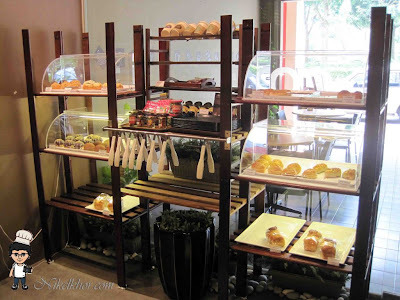 They believe in being part of every celebratory moment by creating customized and unique cakes to mark the occasions. 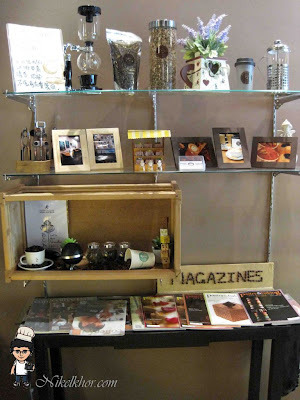 I just have some undescribed favourite to this corner, which displays those traditional coffe maker, mugs, coffee beans and magazines. Perhaps it looks homey to me. A random picture-- some oil painting on the wall. Are you ready? Here come the best part of Barista Coffee, the barista will customize your coffee according to your desire. I want a bear, and they really gave me a bear on the top of my cappucino! And I heard that you can also order "pikachu" or "dragon ball"! Ooops, sorry for my excitement over the pattern and forgot to tell you the taste. I am not a coffee addicter, so I choose for single shot, the coffee aroma is great, and the bitterness was just suit to my liking with half packet of brown sugar. 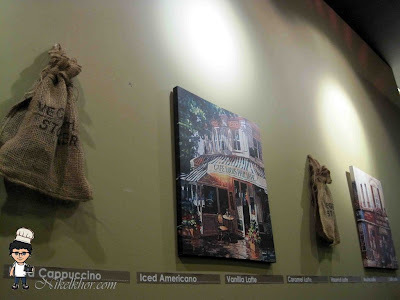 Caramel Latte is suitable for those who like sweet coffee! 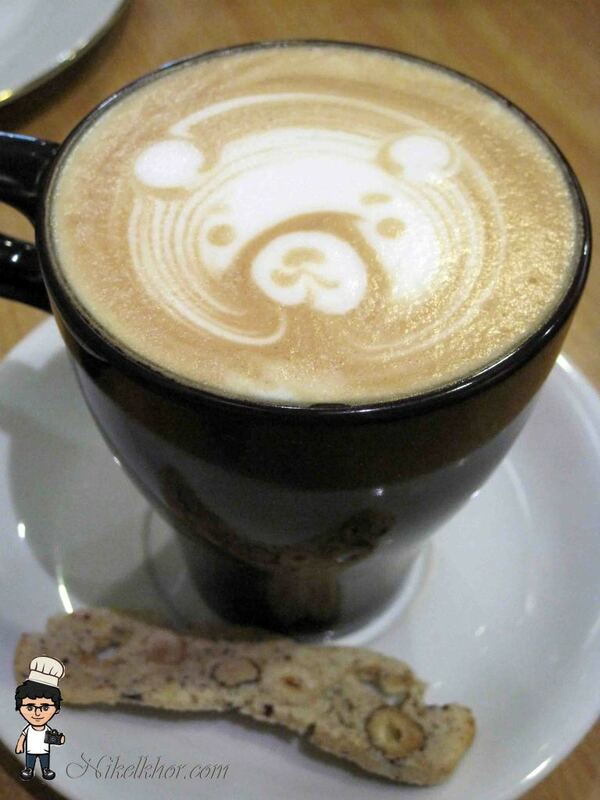 As requested, the bear is on the coffee again. 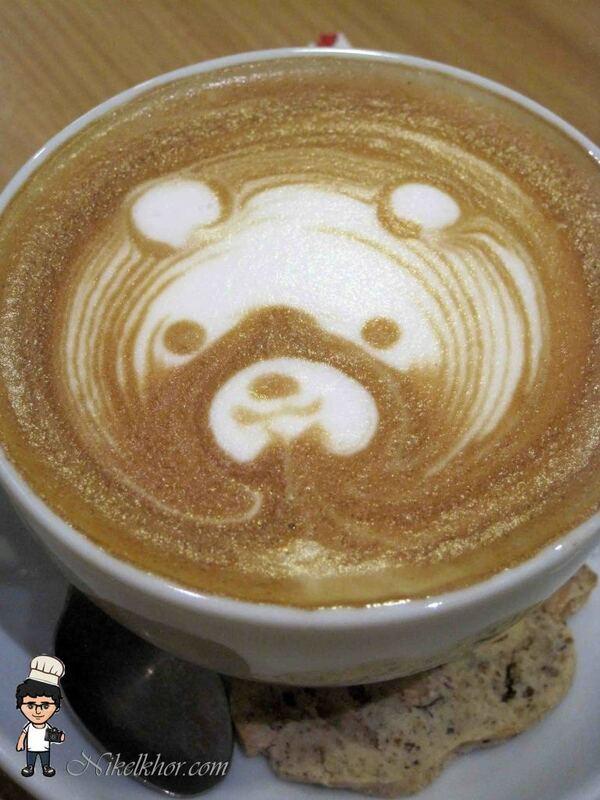 Really bear not to stir my coffee to destroy its cute face. Nice to see and good to drink! 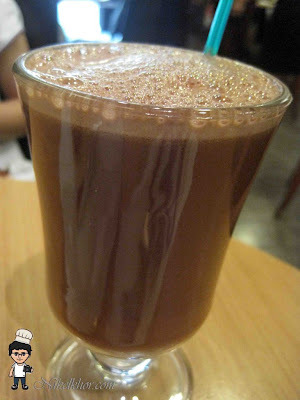 Hot chocolate is just not within their specialty. 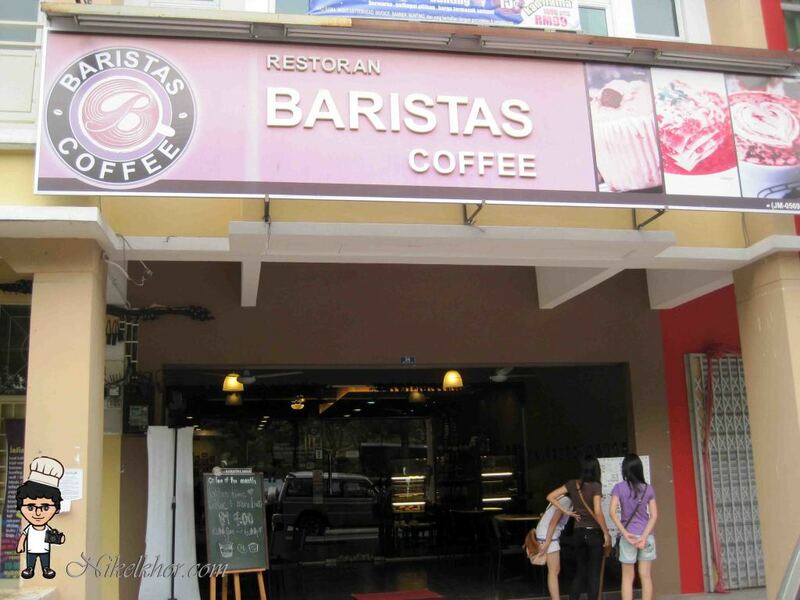 So everyone please order coffee at Barista Coffee lar. 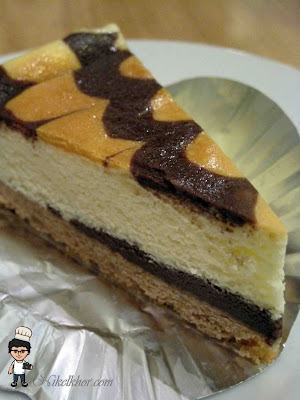 The cake is very rich in cheese (of course lar, this is cheese cake ok?!) 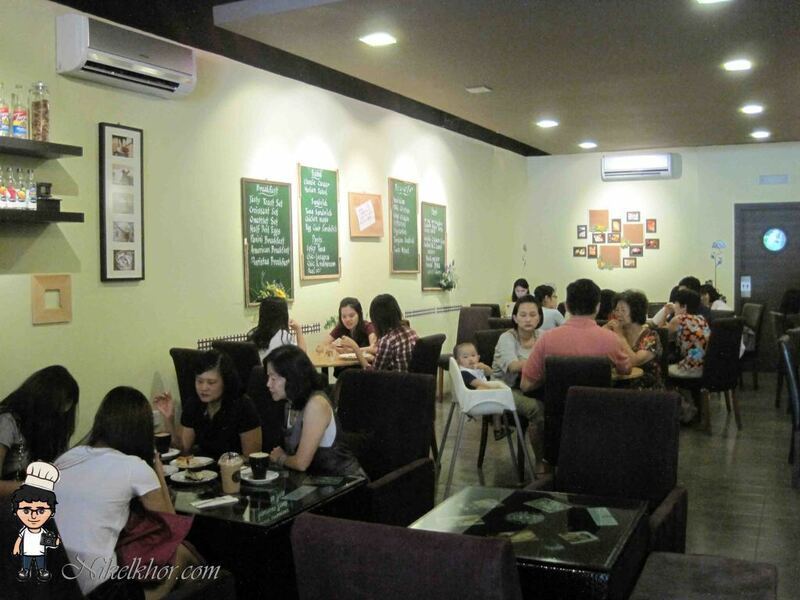 I am quite satisfied over the cheese cake overally, with a cup of hot coffee. Perfect match. 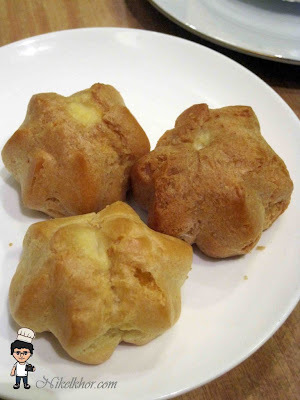 Durian puff is another must in Barista Coffee. 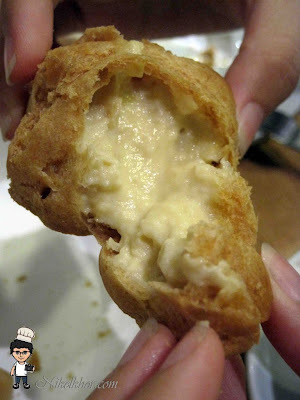 The pastry is super fluffy and the durian filling inside was flowing in my mouth when having a bite on it. A tropical Malaysian flavour, and it reminded me that it is durian season again! 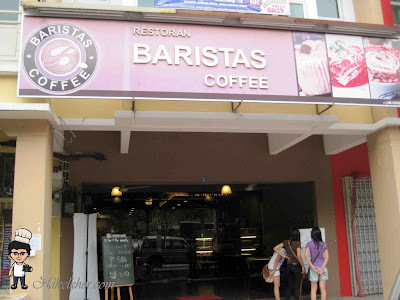 Overall, I am quite satisfy to have my high tea at Barista Cafe, with their good service, affordable price, good coffee and nice pastry! first time i see bear pic. ! @smallkucing Quite a special one..
hah? even pikachu also got... fantastic. @anne Yup.. Can special request for that if their barista is free for that.. lol..
@wawakyoko Hope u enjoy it..